Match ends, Mansfield Town 1, Lincoln City 3. Second Half ends, Mansfield Town 1, Lincoln City 3. Goal! Mansfield Town 1, Lincoln City 3. Matt Green (Lincoln City) left footed shot from outside the box to the bottom left corner. Assisted by Billy Knott. Corner, Mansfield Town. Conceded by Robert Dickie. Foul by George Taft (Mansfield Town). Corner, Lincoln City. Conceded by Paul Digby. George Taft (Mansfield Town) wins a free kick in the attacking half. Hayden White (Mansfield Town) wins a free kick on the left wing. Attempt missed. Will Atkinson (Mansfield Town) right footed shot from outside the box is close, but misses to the left. Neal Eardley (Lincoln City) is shown the yellow card. Substitution, Mansfield Town. Danny Rose replaces Jimmy Spencer. Substitution, Mansfield Town. CJ Hamilton replaces Alexander MacDonald. Hayden White (Mansfield Town) wins a free kick in the attacking half. Corner, Lincoln City. Conceded by Will Atkinson. Goal! Mansfield Town 1, Lincoln City 2. Ollie Palmer (Lincoln City) right footed shot from very close range to the centre of the goal. Assisted by Sean Long. Paul Digby (Mansfield Town) hits the bar with a header from the centre of the box following a set piece situation. Substitution, Lincoln City. Matt Green replaces Jordan Maguire-Drew. Omari Sterling-James (Mansfield Town) wins a free kick on the right wing. Substitution, Mansfield Town. Will Atkinson replaces Jack Thomas. Robert Dickie (Lincoln City) wins a free kick on the right wing. Corner, Lincoln City. Conceded by Alexander MacDonald. Attempt missed. Billy Knott (Lincoln City) left footed shot from outside the box is close, but misses to the left. Substitution, Lincoln City. Neal Eardley replaces Sam Habergham. Substitution, Lincoln City. Michael Bostwick replaces Alex Woodyard. Hayden White (Mansfield Town) wins a free kick on the right wing. Attempt saved. Alexander MacDonald (Mansfield Town) right footed shot from the right side of the box is saved in the bottom left corner. Attempt blocked. Alexander MacDonald (Mansfield Town) right footed shot from the left side of the box is blocked. Attempt saved. Luke Waterfall (Lincoln City) right footed shot from the centre of the box is saved in the top centre of the goal. Corner, Lincoln City. Conceded by Bobby Olejnik. Attempt saved. Ollie Palmer (Lincoln City) right footed shot from the centre of the box is saved in the top right corner. Attempt blocked. Billy Knott (Lincoln City) left footed shot from the right side of the six yard box is blocked. Attempt saved. Ollie Palmer (Lincoln City) right footed shot from the right side of the box is saved in the bottom left corner. Second Half begins Mansfield Town 1, Lincoln City 1. First Half ends, Mansfield Town 1, Lincoln City 1. Alexander MacDonald (Mansfield Town) wins a free kick in the attacking half. Attempt blocked. Jordan Maguire-Drew (Lincoln City) right footed shot from the left side of the box is blocked. Corner, Mansfield Town. Conceded by Ollie Palmer. Attempt blocked. Alfie Potter (Mansfield Town) right footed shot from the right side of the box is blocked. Paul Digby (Mansfield Town) is shown the yellow card. Foul by Billy Knott (Lincoln City). Goal! Mansfield Town 1, Lincoln City 1. Elliot Whitehouse (Lincoln City) header from the centre of the box to the bottom right corner. Assisted by Sean Long. Attempt missed. Paul Digby (Mansfield Town) header from the centre of the box misses to the left following a set piece situation. Attempt missed. 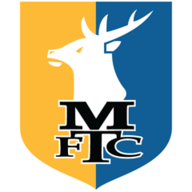 Omari Sterling-James (Mansfield Town) right footed shot from the right side of the box misses to the left. Corner, Lincoln City. Conceded by Hayden White. 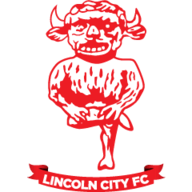 Hand ball by Robert Dickie (Lincoln City). Attempt missed. Sam Habergham (Lincoln City) left footed shot from outside the box is too high from a direct free kick. Billy Knott (Lincoln City) wins a free kick in the defensive half. Corner, Lincoln City. Conceded by Krystian Pearce. Elliot Whitehouse (Lincoln City) wins a free kick on the right wing. Johnny Hunt (Mansfield Town) wins a free kick on the right wing. Foul by Jordan Maguire-Drew (Lincoln City). Alfie Potter (Mansfield Town) wins a free kick on the right wing. Alex Woodyard (Lincoln City) wins a free kick in the attacking half. Goal! Mansfield Town 1, Lincoln City 0. Alfie Potter (Mansfield Town) right footed shot from the centre of the box to the bottom left corner. Assisted by Jimmy Spencer. Omari Sterling-James (Mansfield Town) wins a free kick on the left wing.